Vermintide is finally out, and the word on the rat-infested streets is: it’s pretty damn neat. It’s doubly good, then, that developer Fatshark intends to keep supporting the game with DLC. Looking for more cooperative mayhem? Here are the best PC co-op games. This DLC news comes from a developer’s response on the game’s Steam community page. It says:“We will alternate between free dlc’s with paid dlc’s(sic). And make sure they are constructed so neither split the player-base.” The same developer says in a different response that “there will be lots of stuff added post launch for years to come”. With this kind of support there’s a very good chance a strong community will form around Vermintide. Additionally, Fatshark confirmed via their Twitter account that they won’t be using microtransactions, or apostrophes. 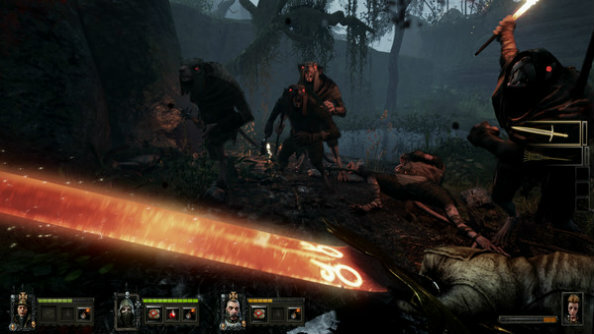 If you’re looking for some apocalyptic co-op fun, Vermintide is available on Steam now.